For those of you who have been living under a rock, you can go to Wikipedia and find out what the Harlem Shake is. For the rest of us, I’ll show you the funny Facebook meme uploaded by The Dungeon Family, a crew who produced the early OutKast hits. By the way, I like the girlie bikini version. 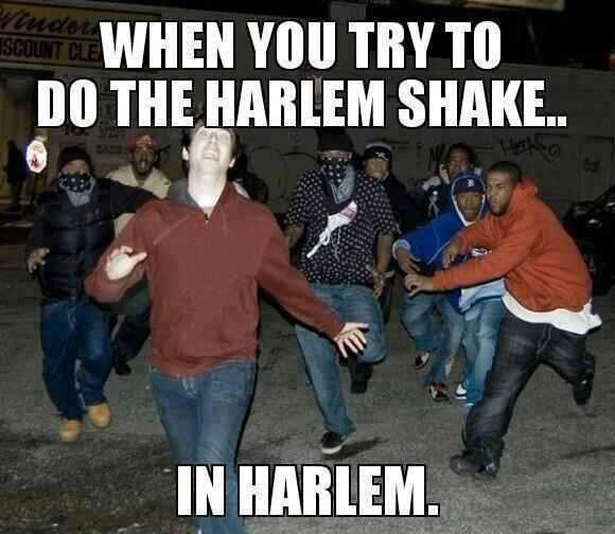 This entry was posted on March 18, 2013 at 5:00 pm and is filed under Memes, Music, White People. You can subscribe via RSS 2.0 feed to this post's comments.